Responsible for the maintenance of accurate, up-to-date incident files, the Documentation Unit Leader (DOCL) is vital to capturing the thorough documentation that is critical to post-incident analysis. 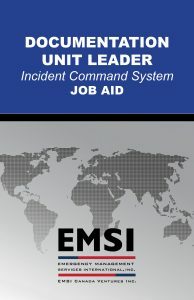 ICS-342 focuses on the roles and responsibilities of the Documentation Unit Leader during all phases of an all-hazards response effort. This course is an instructor-led training that supports learning through discussion, lecture, and active participation in multiple exercises that provides a realistic, hands-on approach to mastering the skills required of a DOCL.